don’t you think you are being dsrespectful? he is actualy the way. the Messanger of GOd. if you don’t believe leave it.. why so interested in blasphemy? if religion is not good.. how is insulting (ANY)one is right? No, I dont think it is disrespectful at all and I am a christian… I know Jesus is the way, the truth and the light… my cartoons are a funny and innocent and have actually brought people to faith in that people who read this blog have asked me about my beliefs and have taken a second (or even first) look at the teachings of Jesus and seen the truth in them. I think my Lord and Saviour would get a kick out of these cartoons. I might add I take a lot of care and love in drawing anything I do and most especially when it concerns Christ…. I find it strange that you would assume straight off the bat that I was not a Christian. I’ll leave it to my Holy Book to explain…. Your so clever I love it!! It’s an interesting piece, regardless of how it’s percieved. Think Think, you may have insulted me this time, by insinuating that Jesus/God is the only religion. I love your style. 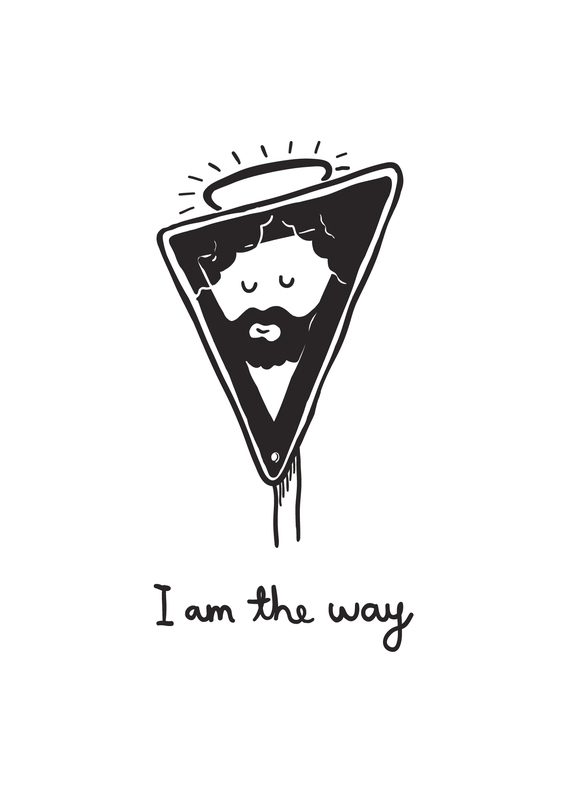 And yes, He is the Way! Where can I see more of your stuff? Do you publish anywhere? I absolutely love your work and how Christ is your inspiration! No offense here! Love your blog! I just love your style ! !